Customer Success Story: "The Runner"
How do you capture a nation-wide game of tag on camera? It's a question Matt Damon and Ben Affleck wondered when they came up with the idea for "The Runner" almost 20 years ago. 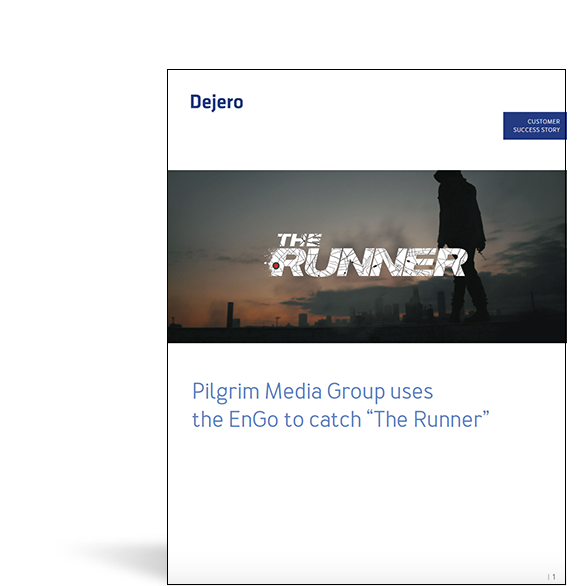 Discover how Dejero helped Pilgrim Media Group make the idea of "The Runner" a reality using a combination of our products and services 17 years later.